After a good weekend, Harrison is feeling a bit weak this morning, and is a little nauseous. That’s to be expected, I guess. He despises the medicine he takes several times daily. The highlight of his weekend was shaving his dad’s head. Knowing that Harrison’s hair would all fall out, he went ahead and just shaved it off. So he wouldn’t be alone in being bald, I joined him. He manned the clippers and laughed the whole time. His mom cried. Not because we were going bald, but because shaving our heads was the result of this terrible illness. Ginger and I have one great fear: that the cancer will not go into remission. Harrison has another fear weighing on him even more: no more sports. I’ve played and coached baseball almost my entire life, and seen A LOT of very good kids play. But I must admit I don’t think I’ve seen a kid with as much baseball IQ as Harrison. One example will suffice. When Harrison was seven his team was in a tight battle. They were up by two runs in the bottom of the last inning, with the other team batting. The bases were loaded with no outs. The other team’s best hitter was at the plate. Clearly, the game was about to be lost. Harrison was playing shortstop and the hitter drove a line drive up the middle. Fortunately, Harrison had squeezed the middle because the kid had gone up the middle every other time he batted. Harrison ranged to his left and snagged the line drive. But knowing just what to do, Harrison stepped on second base and threw to first for an unassisted triple play to end the threat and win the game. Not many seven year olds would be able to make that play, much less to have the game awareness to attempt it. In fact, I wouldn’t think to! Ironically, one of the first indications Harrison was sick was his performance in a baseball tournament earlier in the fall. He had been lethargic all weekend. He struck out three times in one game (and that would NEVER happen). Each time he just watched strike three. When I asked him what was happening, he said he just couldn’t swing the bat. He didn’t even want to go play the second day. He slept in the car driving there and back. All of that was strange. Most striking was one play when he was on second base and attempted to steal third. He took him FOREVER to get there. In fact, two bleach-blonde moms in the stands were making fun of him for being so slow. And that is strange because he is normally one of the quickest baserunners. I was a little miffed at their making fun of my son, but I was most concerned that he was running so slow. NEVER would it have crossed my mind that he had cancer. When the doctor told him he could not play football for three years, he was heart-broken. He loves the sport, and is taking solace in fact that he’ll be back in time to play quarterback for Coach Cook on the NRCA JV team one day. But his biggest fear was that he couldn’t play baseball. I hurt for him when he cried about not playing. He loves to play baseball, and I love to watch him play. He plays with intensity and enthusiasm. He encourages other players, regardless of their ability. He lifts his teammates both with his words and his actions. He played for a team in a tournament one weekend and was stuck in right field (since he was just an add-on). When the team blew a 5-run lead and lost the game because of three errors by the shortstop, he was disappointed (he loves to win). After the game, rather than putting the kid down, he remarked on the way home, “I wouldn’t have made those errors, but it wasn’t his fault we lost the game. He should have scored more runs.” What a mature way to look at the situation. For that kid to not play baseball would be a travesty. Harrison got a message from a stranger this week. He had also had leukemia when he was nine. He also loved baseball. He went on to be a successful college baseball player. He is also the father to a sweet little girl in Harrison’s class. Amazing. * That he’ll not have nausea. There is a facebook page at www.facebook.com/pray4harrison. We’ll be at UNC tomorrow for the chemo. Maybe we’ll swing by the baseball stadium on the way home. We continue to pray for Harrison and all of you. Grayson is fervently praying for his team mate and really can’t wait to play ball with him in the spring. We are so happy that Harrison has gotten this encouraging news. We are fervently praying for God’s healing touch for Harrison. I have heard such wonderful things about you Harrison, from my daughter Amy. She says how much Anna Grace loves you, which says to me how very special you are..Praying for you daily. We are praying every day for Harrison and his parents. Walker, my 14 year old lives for baseball too. When he is up to it, maybe we can take the to a field and throw a little. It might be nice to get out when the weather is nice. Susan Durham-Lozaw, Carmen, Walker, Brady, and Barrett. 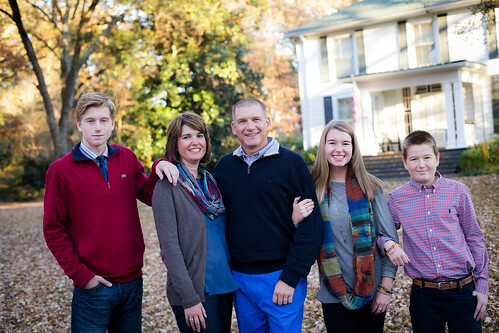 Dr. Mckinion, we are continually lifting Harrison and your whole family up to the Lord in our family devotions and whenever you are brought to mind. We cannot begin to imagine what you guys are going through. May the peace of God rule your hearts this Christmas. Nothing but love and respect for you all. Harrison I am so proud of you for being a great baseball player. I pray that the Lord will bless you with the same strength and courage that he has given u to play on the fields. I am praying for a good day tomorrow and that you get to go to the stadium after.